Entering Florida with 7 contracts across the state, is a testament to Heritage Healthcare’s excellent reputation and dedication to consistent communication and clinical integrity. Heritage Healthcare understands the many challenges faced by facilities, including readmissions. Upon admission, our clinicians takes the residents’ needs after rehab into account (not just the immediate diagnosis), and provides their clinicians with tools needed to enhance the quality of life for every person they treat. Plus, Heritage Healthcare’s knowledge of post acute care provides facility specific solutions. Independently owned and operated from day one, Heritage Healthcare’s management and executive team have adhered to the philosophy of ‘Compassionate Care’. This has resulted in constant growth since opening their doors in 1999. 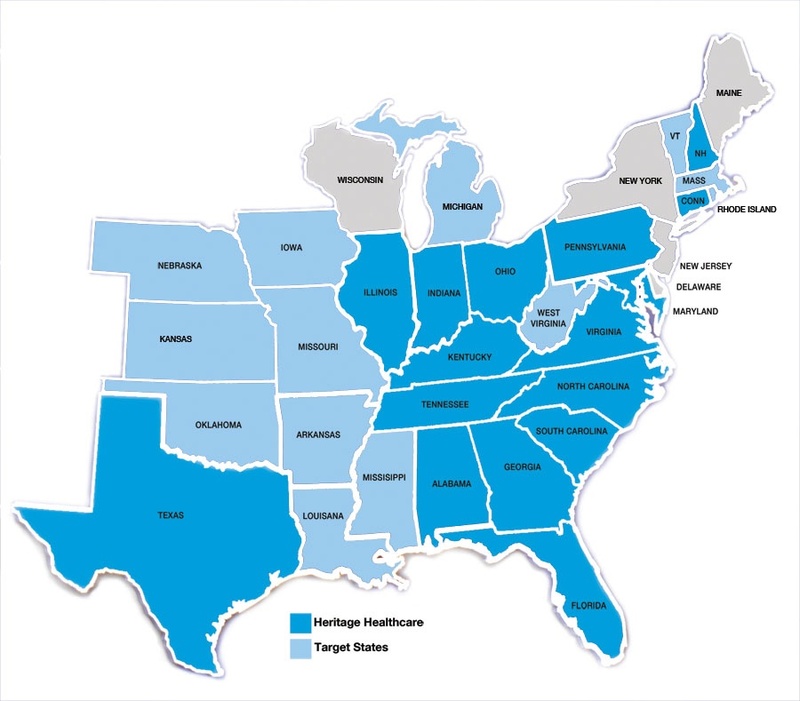 Heritage Healthcare is now working with facilities in 16 states across the country. To learn more, go to www.heritage-healthcare.com or call Al Eads at 877.508.3237, ext. 112.